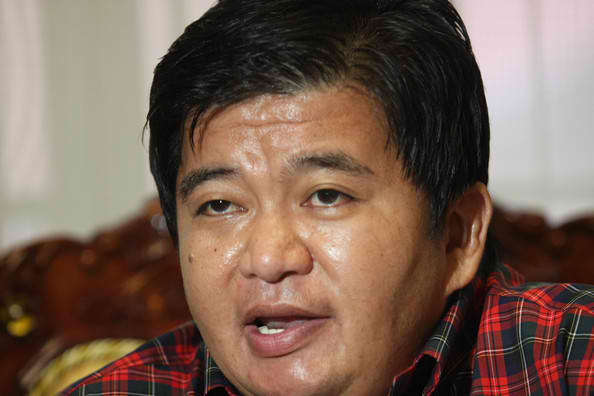 Ombudsman Permanently Banned Zaldy Ampatuan from Holding Public Office - Exam News, Reviewer, Military Career, & Everything [MN] . .
Prime Maguindanao massacre suspect Zaldy Ampatuan is no longer allowed to enter politics after the Ombudsman found him liable of administrative cases of serious dishonesty and grave misconduct in connection with his willful failure to disclose his assets in his Statement of Assets, Liabilities and Net Worth (SALN) from 2000 to 2009. Based on the Ombudsman’s lifestyle check investigation, Ampatuan failed to disclose 14 real estate properties worth P12,336,416.9 in Davao, Cotabato and Makati cities. He also failed to declare his ownership of 15 vehicles worth P25,476,116 and 26 firearms worth P5,914,000, Philippines news said. “Aside from the nondisclosure of assets in his SALNs, the aggregate amount of his properties was established to be manifestly and grossly disproportionate to his lawful and legitimate income during his eight-year incumbency,” Ombudsman Conchita Carpio-Morales said in the statement. The Ombudsman ordered a penalty of fine equivalent to his salary for one year cancellation of his eligibility of retirement benefits, perpetual disqualificatiom from holding public office and bar from taking civil service examinations. Ampatuan, the former governor of ARMM and their followers are now detained at the Quezon City Jail Annex in Camp Bagong Diwa, Bicutan, for 58 counts of murder before the sala of Judge Jocelyn Solis-Reyes of the QC Regional Trial Court Branch 221 in connection with the November 2009 Maguindanao massacre.